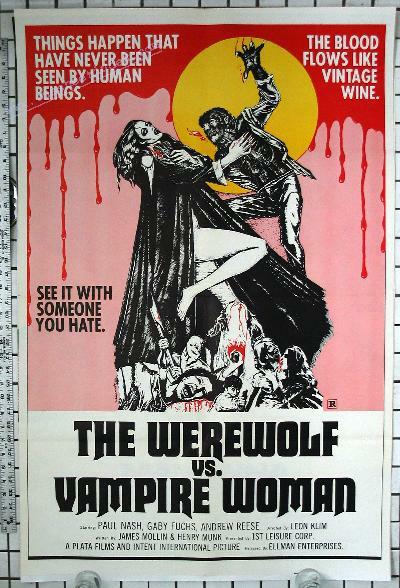 La Noche de Walpurgis (released in the U.S. in 1972 as "The Werewolf vs. Vampire Woman"), the 1971 Leon Klimovsky Spanish horror thriller ("Things happen that have never been seen by human beings. "; "The blood flows like vintage wine. "; "See it with someone you hate.") starring Paul Nash, Gaby Fuchs, Andrew Reese, Barbara Capell and Patty Shepard.